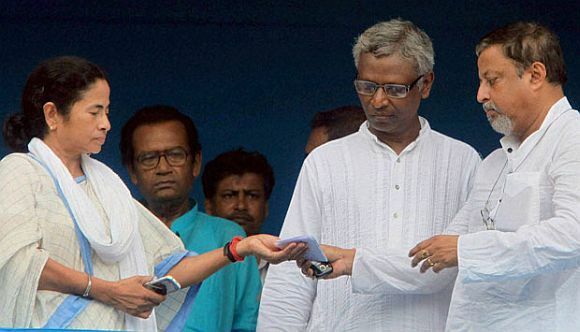 According to sources in the Trinamool Congress, Kalyan Banerjee, the party's chief whip in the Lok Sabha, has threatened to resign. The debate over the Lokpal and Lokayuktas Bill, 2011, has caused an internal rift in the party, and Banerjee is upset that some of his party leaders are questioning his stand over it. 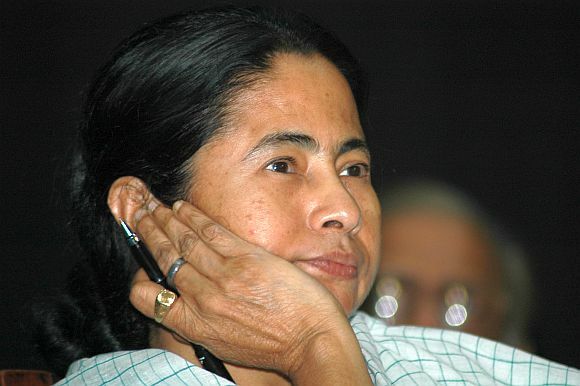 After watching the Lok Sabha debate on the Lokpal bill on television, party chief Mamata Banerjee finds that her party's members in New Delhi had been manoeuvred by the Congress to take a stand in favour of a bill she finds patently against the federal structure outlined in the Indian Constitution. Just two weeks back she had herself asked her party men to support the bill in the Cabinet and also in the Lok Sabha. But now, she is calculating the risk of the Communist Party of India-Marxist hijacking the issue. Her objections to the bill, which she wants to articulate through her members in the Rajya Sabha, are genuine, says her party's leaders. During the debate on the Lokpal Bill, Kalyan Banerjee said the bill diluted the power of the states in fighting corruption and it undermines the federal structure of the Constitution. "Does the Lokpal not interfere with the function of the states? Don't undermine the state legislatures. It would be a dangerous proposition," he had told the Lok Sabha. 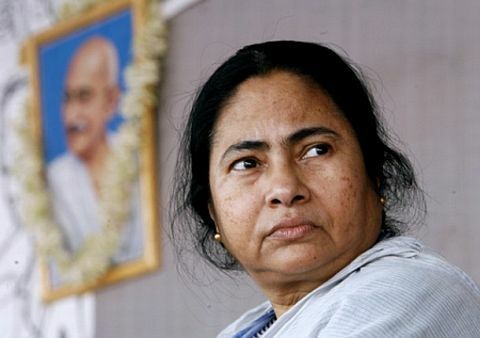 However, her party seems a house divided with Mukul Roy leading one group that has irked Kalyan Banerjee. Roy, Sudip Bandyopadhyay and Derek O'Brien have sought the deletion of clauses 63 to 97 in the bill which have a reference to the Lokayukta's formation by states. Mamata has changed her stand completely within two weeks because she fears a deeper game by the Congress behind moving the Lokyauktas part of the bill. However, the Lokpal bill is not an issue her party MPs are worried about. They say she is coming under the influence of the elements who are close to the CPI-M, too. Her MPs in New Delhi say her "dictates" will be tolerated by the Congress only till the Uttar Pradesh assembly election. The Trinamool Congress's stock will crash once the Samajwadi Party joins the United Progressive Alliance, overtly, in March 2012. Even though the Congress has been able to pass the Lokpal and Lokayuktas Bill in the Lok Sabha, once again the ruling alliance stands exposed due to the Trinamool's change of heart over the issue. In fact, TC, Naveen Patnaik's Biju Janata Dal and the Dravida Munnetra Kazhagam had informal consultations among themselves over the issue in the last two days. Reportedly, O'Brien went to see the Bharatiya Janata Party's Arun Jaitley too, leading to an embarrassment for the Congress.